Physicians face an increasing array of non-clinical demands on their time — in some practices doctors spend as much time working on documentation and sorting through insurance denials as they do seeing their patients. With the expansion of both private healthcare insurance and Medicaid in many states under the provisions of the Patient Protection and Affordable Care Act (ACA), demand for healthcare services has increased while the amount of time doctors have to see new patients has been reduced. Patients, too, face long wait times at their physicians’ offices, often for minor ailments or routine follow-ups. 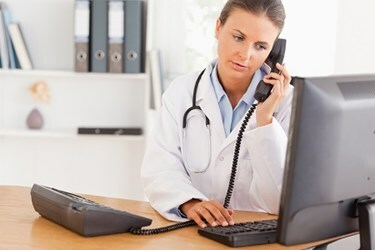 Because consultations can be difficult to schedule, patients often skip follow-up visits or turn to online medical services and websites that may not provide reliable information. This not only erodes the doctor-patient relationship, but also potentially puts the patients’ health at risk. Telemedicine solutions can help physicians provide more convenient, real-time interactions with their patients while simultaneously relieving the scheduling pressure on the physician practice.